I love creative education! Before I became the education coordinator for MTGCD, I had the privilege of teaching 3rd & 5th grade students. My students and I developed a successful campus wide recycling program. I also had the privilege of coaching the intermediate robotics team! Aside from teaching students I love to help teachers by providing creative lessons that will inspire students to dive deep into concepts through hands-on experiences. My goal for every lesson is to spark student interest for the magical water world. I ensure that all activities and lessons are aligned with the Texas Essential Knowledge Standards and promote critical thinking skills through STEM like investigations. MTGCD is accredited through Texas Environmental Education Advisory Committee & Texas Education Agency. Education Coordinator, Stephanie Keith, would love the opportunity to setup an in-class presentation specifically designed for your class or group. We offer various presentations that are educational and hands-on for all ages. Not sure? Schedule a brief informational meeting to find out more about our educational opportunities. To schedule or contact us, please complete the form below and we will gladly get back to you as soon as possible. Thank you for reaching out! We will be in contact with you as soon as possible. Have a great day! 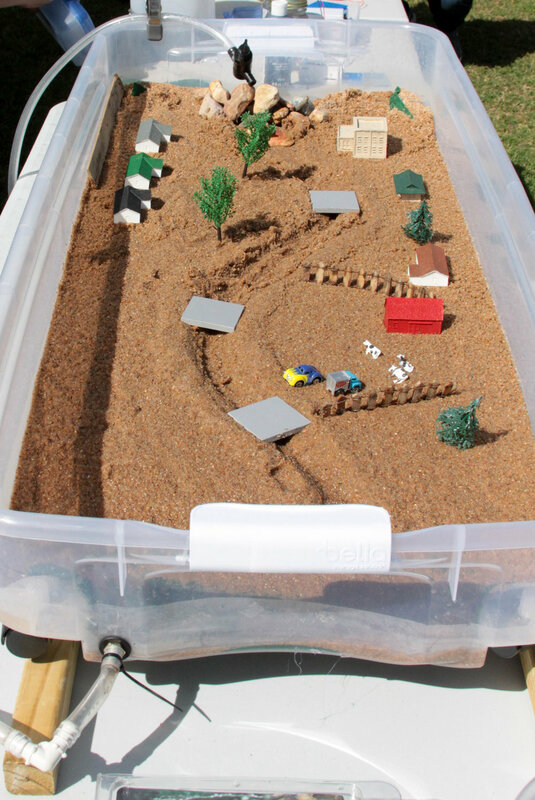 The model offers students a bird's eye view of how the water cycle and groundwater interact with each other from the clouds down to the aquifer. 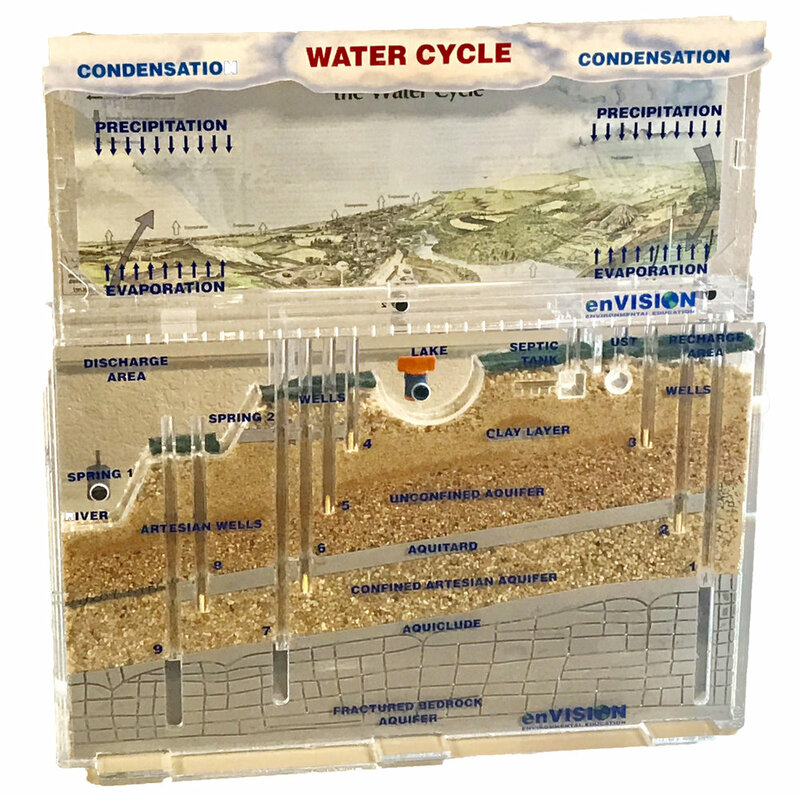 This aquifer model provides multiple opportunities for various discussions about porosity, permeability, run-off, pollution, and many more. Approximately 45 - 60 minutes. The stream table can be used for multiple grade levels and topics. Students will observe weathering, erosion, deposition, delta formation, flood plain, and land formation to name a few. The table provides opportunities for various discussion topics related to human impact, conservation, pollution, and effects of erosion. The stream table is usually paired with a skittle weathering & erosion experiment. Students will have the opportunity to discuss a water pollution scenario that could potentially harm their city's water source and aquifer. They will work in groups to construct an aquifer and discuss each layer as they build. To conclude this activity, students will test their aquifer to determine if their water source was polluted or if they saved their city. This activity is targeted for junior high - high school students. We are pleased to offer multiple TEKS based curriculum options for all grade levels, free of charge, to any school within our district. Each set of curriculum features in-depth, hands on activities to aid students in understanding our intricate water system and the importance of conserving it. For more information contact, Stephanie Keith. Middle Trinity Groundwater Conservation District is pleased to offer various education programs for adults. Looking for an out-of-the-box presentation for your Lion's Club or Rotary meeting? Call and schedule a presentation with us today! Learn about what Middle Trinity GCD has to offer and how we can help your community through groundwater education. We would love to partner with you or your group for special training, presentations, or work-day activities!